يضمن فندق Quest On William Apartments الذي رمم في 2009 لزائريه قضاء وقت ممتع في ملبورن، سواء جاؤوا في رحلة عمل أو سياحة. إن موقعه الجيد الذي يبعد 1. Km فقط عن مركز المدينة يساعد النزلاء على الاستمتاع بمعالم المدينة ونشاطاتها. كما يمكن الوصول بسهولة إلى Austrian Consulate General, بوركي, ‪China Town‬. إن Quest On William Apartments حريص على توفير الراحة للنزلاء، فلا يوفر الموظفون جهداً في تقديم أفضل الخدمات وضمان حسن الاستقبال. إن واي فاي مجاني في جميع الغرف, مكتب الاستقبال على مدار الساعة, مرافق مخصصة لذوي الاحتياجات الخاصة, تسجيل وصول/خروج سريع, تخزين الأمتعة هي جزء فقط من الخدمات التي تميز Quest On William Apartments عن باقي الفنادق في المدينة. تعكس غرف الفندق البالغ عددها 73 المنتشرة في 14 طوابق جواً من الدفء والألفة.خدمات عصرية مثل تلفزيون بشاشة مسطحة, غرف لغير المدخنين, مكيف هواء, تدفئة, مكتب موجودة في بعض الغرف المختارة. صممت خدمات الاستجمام في الفندق والتي تتضمن مركز للياقة البدنية لمساعدتك على الاسترخاء والراحة. إن كنت تتطلع إلى إقامة مريحة وهادئة في ملبورن، فستجد في Quest On William Apartments بيتك الثاني. يكون مكتب الاستقبال مفتوحًا من الساعة 7:00 صباحًا إلى الساعة 11:00 مساءً من الأحد إلى الخميس، ويكون مفتوحًا طوال 24 ساعة يومي الجمعة والسبت. 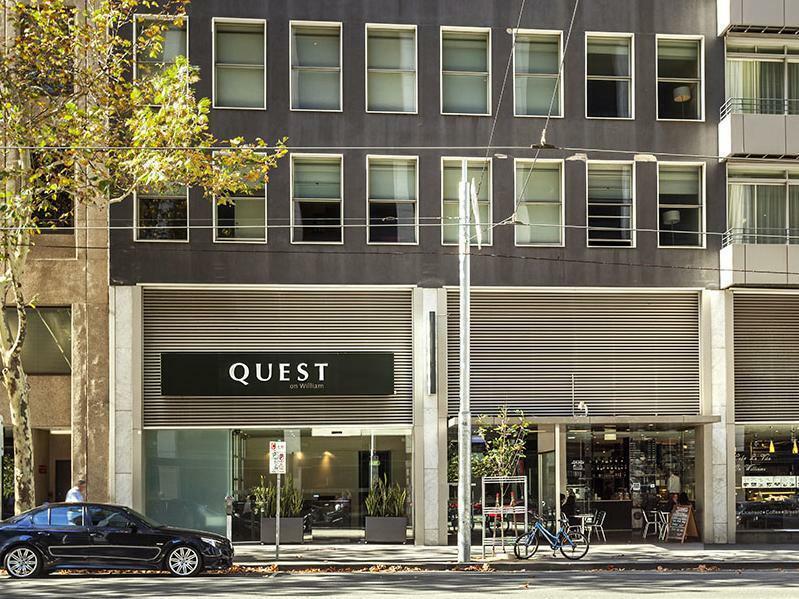 When I booked this apartment hotel, I wanted the property to be within the CBD area and Quest on William fits the bill. However, do take note that for those who’s driving they provide parking at hotel too but at extra cost of AUD40 per night, which was quite steep but we had no choice. The 2 bedroom apartments was spacious with many facilities including kitchen equipments, washing machine + dryer, and heaters. While the room was cleaned everyday, the cleaners always forgot that we needed 5 towels (gave 2 or 3 after cleaning up the room), and did not vacuum the room well. I’m a bit picky when it comes to cleanliness. Despite that, the front desk tried very best to satisfy my needs and I appreciate that. Stayed here for 2 nights - there were 5 adults in our group and the room is spacious enough to accommodate all of us comfortably. Room is just a tiny bit unclean (lots of dust on inconspicuous areas such as behind the bedside tables etc) and carpet could use some deep cleaning. But generally it's clean enough. 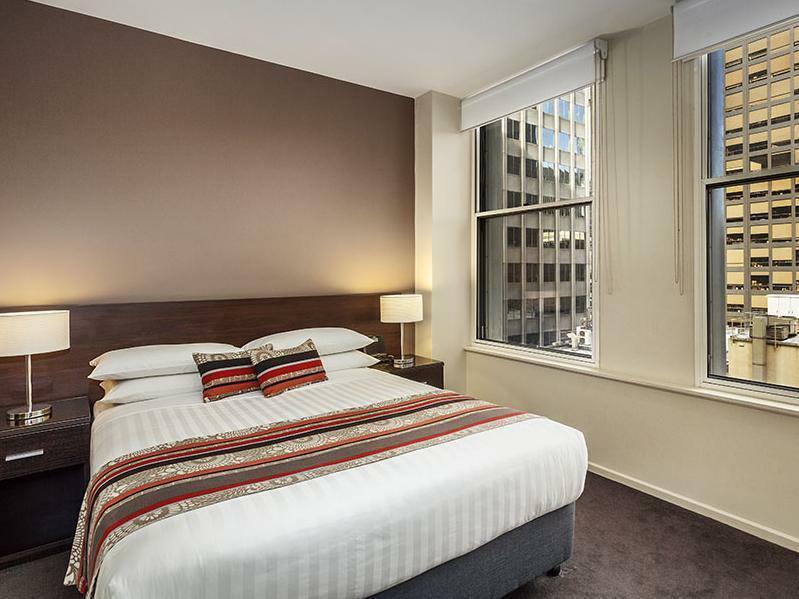 Location is excellent - just a short walk from tram station in the free tram zone which takes you directly to Bourke st, Southern Cross Station, etc. In-room facilities are excellent - there's a washing machine and a dryer along with a nice kitchenette with cookware, cutlery, tableware, dishwasher, etc - all free to use. During our stay, the bathroom sink faucet malfunctioned (hot water faucet won't turn off) and the building / duty manager was so nice and so helpful and came to our room to inspect it even though it was almost midnight. She ended up moving us to another room (which was such a relief because the running water made a considerable noise and we couldn't sleep). Great size of apartment and good location. Had booked a cot for the three nights but unfortunately not in place on arrival. Took some time to arrange but eventually sorted out (first cot was broken). Internet connection was extremely poor and generally un-useable due to ineffective connection. Cleanliness could be improved (lots of visible chunky dust on the walls). Large 2 bedroom unit with full kitchen and lounge, bathroom could of used some bleach in shower grout and toilet. Parking extra $30 and quite cramped to park but happy could park at least. Very central to city and public transport etc. Could easily stay a long time as room like a fully equipped apartment. The 2 bedrooms apartment has more than enough space for the whole family. Bedroom, living room, kitchen, and bathroom, are all comfy and adequate to use. The location is strategic, easy access, and in the free-tram zone area. 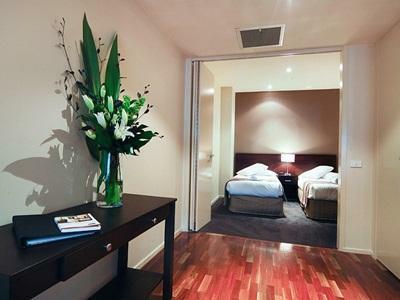 It will be one of our first choices for next stay in Melbourne. Friendly staff, Fast check-in and out. 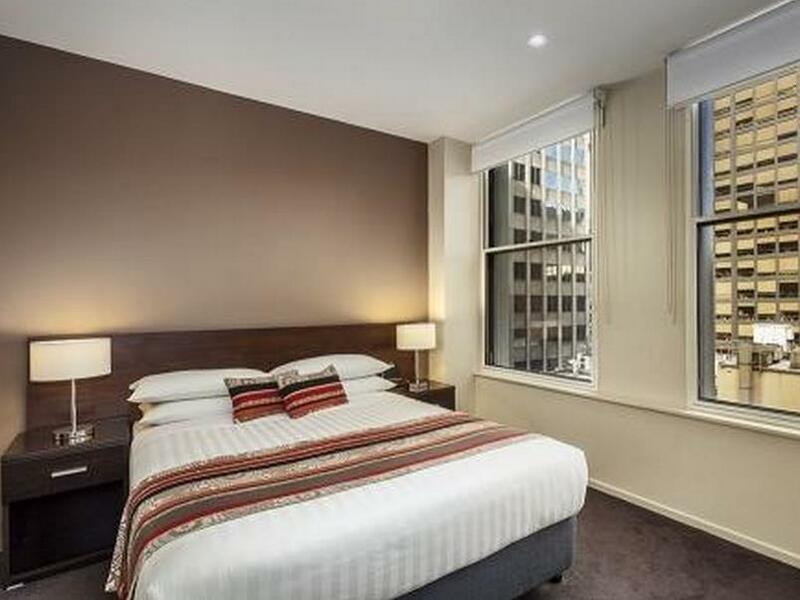 Nice location, walking distance to Bourke st, nice restaurant, Southern station etc. Room heater, washing machine, dryer etc.. provided. Clean and spacious room. Overall, Excellent !!! The apartment has a good location but that's about it. The room was really tired and old. The floor was uneven and the carpet and furniture had stains all over it. It was fine for one night but I don't think I would choose to stay here again. Not enough toiletries and towels even though we booked a room for four people. Room wasn't clean and linen had a lot of hair on it. Shower head was also broken, so we pretty much had to shower using what would be similar to just a water hose. I booked for 2bed+2 bath far ahead with agreement additional fee for entire stay through email. Finally arrived after 11 hours of driving and had been told that no room with 2 bathroom which was I already confirmed again 2/3days before. Negotiated with the manager eventually said that has 2bathroom, but has to pay additional fee/night. Or otherwise just go ahead with 1 bathroom. No choice as we were really need the room with 2 bed+ 2bath. Paid additional fee per night with compensation less cost of parking fees. Took almost 1 hour to finally can get into our room. No restroom in the reception room, imagined of that. Checkout time, almost took about 10min waiting as only one receptionist. First two days the car park was fine, for the rest of the days if we late in few minutes there would be no space as we saw other car has to went out again. I dont understand why this was happening if every guest has to book before and pay on arrival. Dark ages internet. Tried charging $40/day for car parking on top of room rate when there was a $10 weekend car park just around corner. Also charged an additional $40/night for having to have an extra bed for our 6yo....even though he slept in our bed. I managed to get a very good rate for an apartment, however my only gripe was having to pay an extra $40 for overnight parking and $60 for a midday checkout. So overall, not the best value! Central location. Clean fresh room. Fast internet. Apartment is clean and full equipped with all the amenities you need. Free tram station is just a very short walking distance. Receptionist is helpful and patient however I couldn't remember her name. Hope to stay again when I come back to AUS next time. Our family of 5 stayed for 3 nights in a standard 2-room apartment. First the good parts: the reception staff were very friendly and helpful. We were allowed to keep our car in the garage until 3pm, which saved us some money while we made some last minute walks around the city. The location was fantastic. There's a tram stop a few minutes away. There's a cheap Vietnamese Pho place right next door. The kitchen was small but quite well equipped. Now for the not so good parts: the free WiFi was unusable, because the signal kept getting dropped. Even if I wanted to subscribe to the paid wifi, I couldn't get a signal. The 2nd room was small for 2 beds, to the extent that the wardrobe door couldn't be open fully. The room also does not have a heater. The housekeeping kept replacing our 5 towels with 2 towels. Overall, it was an OK experience, but I'll look elsewhere next time. Friendly, service-minded and informative staffs, spacious room with 2 bedrooms and all kitchen utencils, clean and cosy bedrooms and the living area, we enjoyed our stay there a lot. 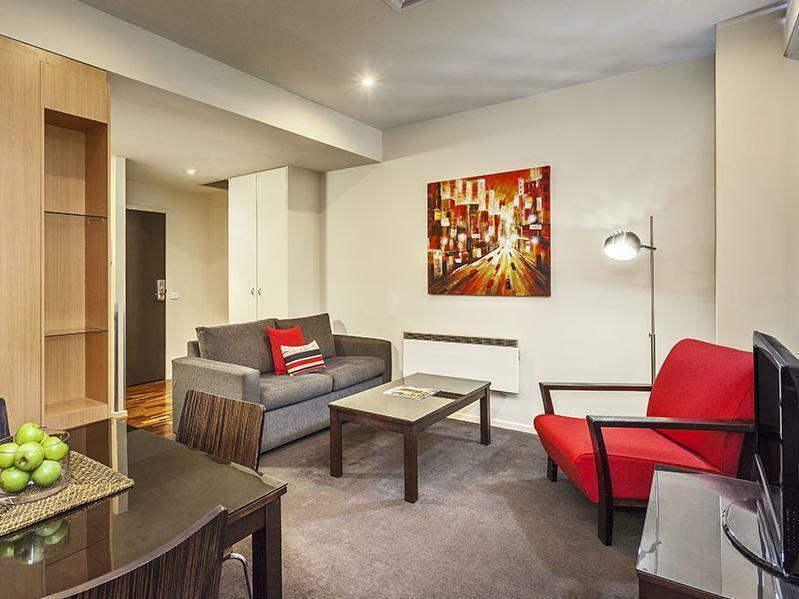 The apartment is close to many stylish cafes and restaurants on our lists, also to those city attractions and the tram station. Car parking was available for 30 AUD per day. Quite expensive but worth it! 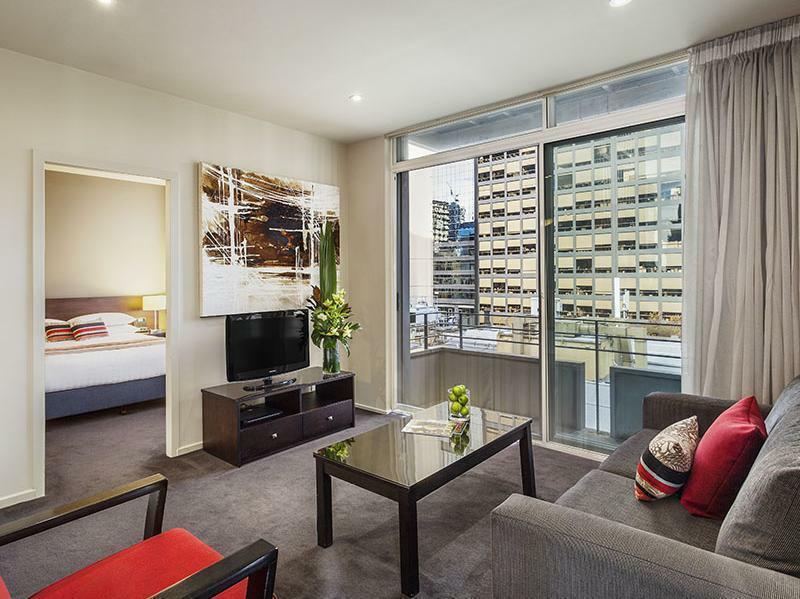 We booked the 2-bedroom apartment for 2 separate 1-night stay in Melbourne city. Apartment was clean, spacious & well equipped with everything we would require on both stays. Convenient location & easy to identify; being a short walk from the tram station & being within the free tram zone was another plus point. 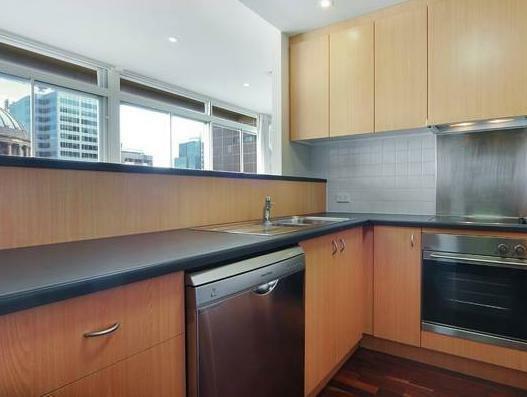 Well situated in the CBD with easy access to trams (and yes, it is inside the free tram zone). The apartment is spacious, but the mattress needs replacement. 2nd room's door needs replacement as it can't cover the room properly and there isn't any lock either. Car park is available upon request in advance but the space is quite tight to park a SUV. when we check out, the bill said we had made a phone call in room but we never, except called to reception. yes, we found out that call was dail to the reception but the call had transfered to that persons mobile phone. y charged us for?